Hello crafty friends!! 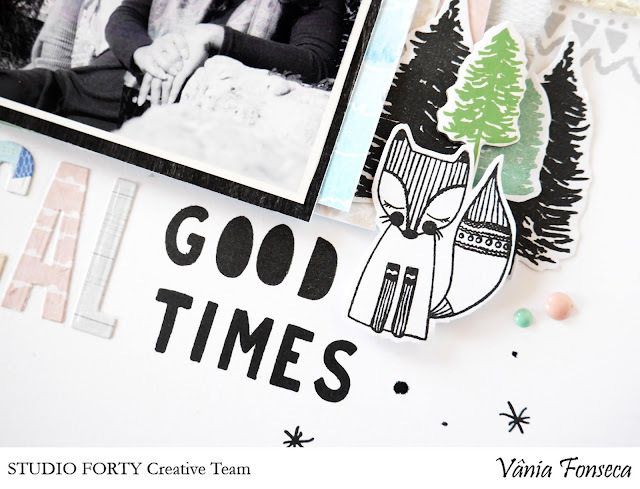 It´s Vânia here and today i´m sharing a layout and a shaker card that i made with the beautiful Just Chillin´collection. For my layout i know that i want to play with stamps, there are so many beautiful stamps in this new collection, that i have to play with them. 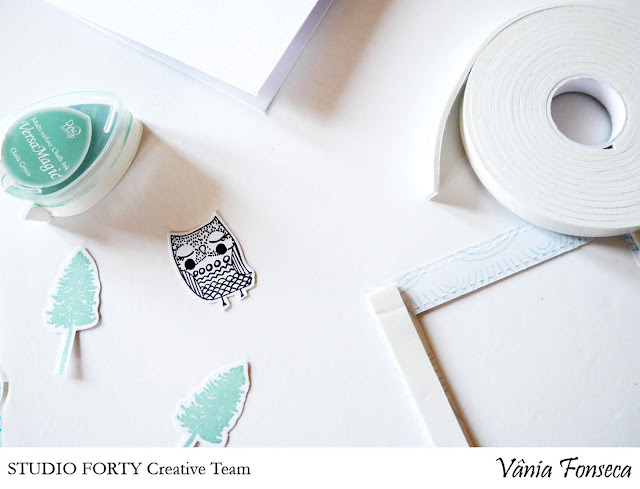 I´ve used them in this layout to add interest to my background, to create my embellishments and to complement my page title. If we take a look at the snuggle stamp set, we have a couple of stamps that we can use to do a repeated stamping technique and create a border or even a background for our project and that´s what i´ve decided to do. 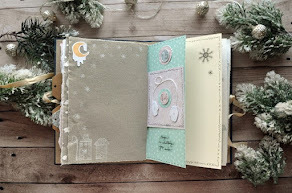 I also use the lantern stamp, from the Winter Wishes set, and applied the same technique. I didn´t have any gold paint to paint the interior of the lantern so i use glitter gel pen to color the interior. On the left corner of the page i stamped the pine tree with three different colors so i could play a little with dimension. When we think of winter and cold days, we also think in comfort, soft and warm materials so i decided to stitched a little border following the stamped one. To finish my layout i add my photo with different layer of paper and a little piece of white tulle in the back. 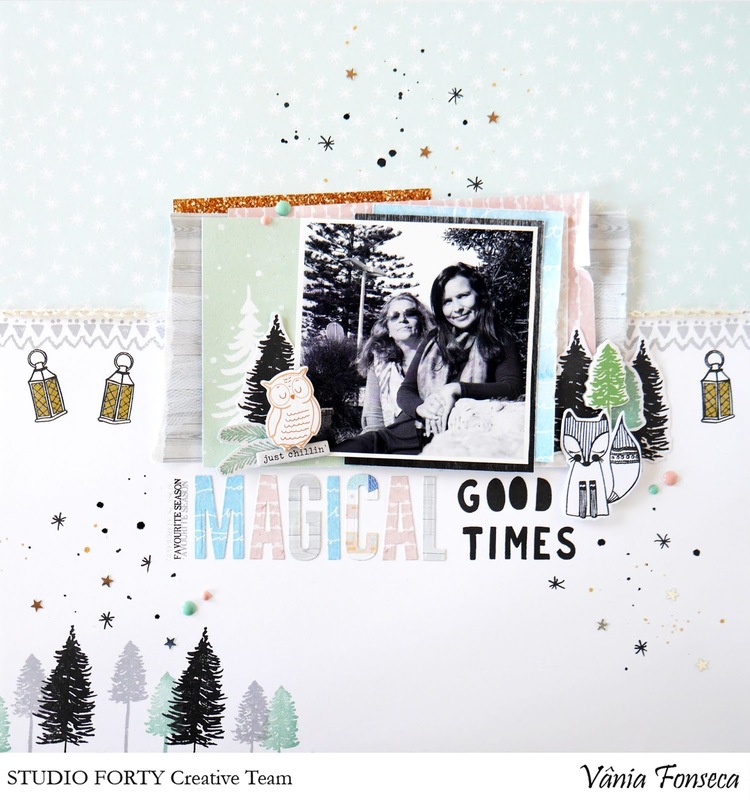 In the front i add some stamped images and chipboard pieces. Some paint splatters and it´s done! Now let´s go to the shaker card, they´re always so fun to make and perfect for this magic season. I´ve started by cutting a frame so i could add a acetate sheet to the front and back it with foam tape. With that done i have some dimension and now i could add the fake snow and the little sequin stars. Tip - If you what that things flow easily in your shaker and you´re not worried about your shaker thickness add a second foam tape layer and your shaker mix will flow freely. In the base of my card i stamped some stars and pine trees, before adding the shaker, so again i could have different layers and dimension in my card. 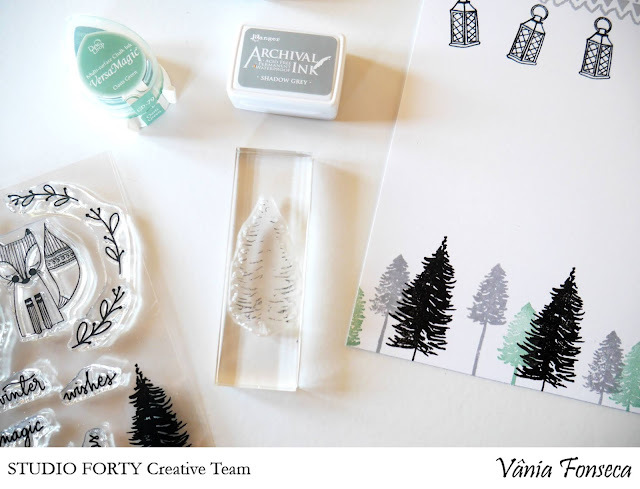 To finish my card i add some pine trees and the cute little owl in the front of my card. That i previously stamped and hand cut. I chose a clear sticker to add the sentiment to my card "Let it Snow" seems just perfect for this case. Hope you feel inspired to play with this beautiful collection!